ProfileSync requires a dedicated API client to retrieve user profile data from the Identity Cloud. This API client (also referred to as a property) must use the direct_access feature. Do not configure your new client to use login_client (the default feature set). 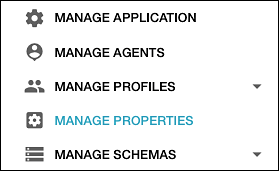 See the setAccessSchema endpoint documentation for more information. Although you can give the new API client any name you wish, we recommend that you select a name that indicates that the client will be used with the ProfileSync service.